Check out our website at myspecialwedding.org for more information. 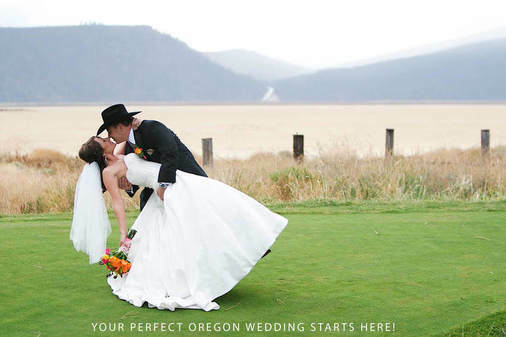 Our wedding venues reflect Southern Oregon’s variety and stunning beauty. From lakes and rivers to golf courses and vineyards, we have unique sites to help make your dream wedding a reality. It all begins with generous community-minded private and commercial property owners who agree to donate their property as a wedding venue once a year. The rental fees support the Women’s Crisis Support Team. What’s different about seeing My Special Wedding venues? When you’re considering any venue, you’ll want to visit the property and have a good look. In most cases, a volunteer will guide you to the site and stay with you to answer your questions. We respect the privacy of private property owners who donate their homes and gardens, so we do not provide their addresses. Commercial venues have published addresses, but many prefer that we show the properties. Who do I contact to get more information? Call or email Cindy, 541-476-3877 or cindy@myspecialwedding.org. We have the best variety of wedding sites for your special day, all in one place. WCST is a non profit organization and donations are tax deductible. Talk with your tax preparer to learn whether all or part of your wedding venue costs qualify. Please consider using our services first. Wouldn’t it be great if your venue payment could help your community? *Women’s Crisis Support Team is dedicated to ending domestic violence and sexual assault through intervention, prevention, ​education and safe shelter. It is a 501c3 non-profit organization and donations are tax deductible.